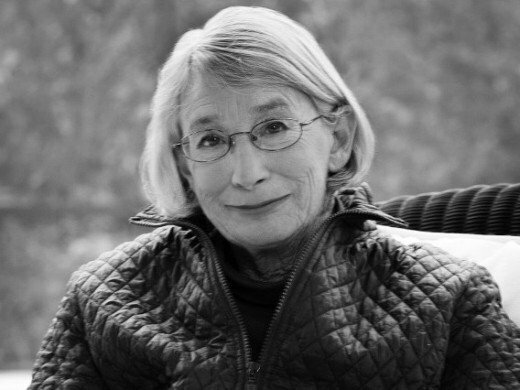 Thursday morning, I learned that the poet, Mary Oliver, had passed away at age 83. While I haven’t mentioned her in a while, Mary Oliver may be my favorite poet. 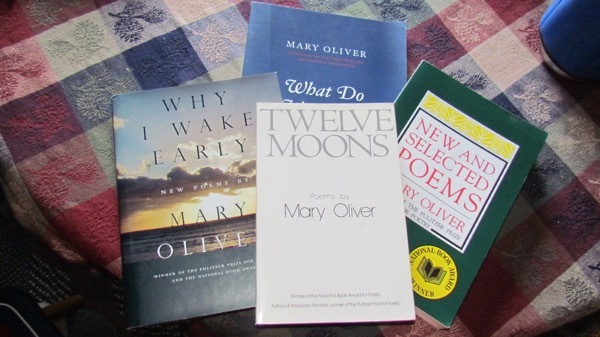 I’ve talked about her a lot on this blog, including setting up a schedule to read her book, Twelve Moons, as a calendar—twice (see Mary Oliver’s Twelve Moons as Lunar Calendar). The Homestead’s current collection of Mary Oliver books, not counting eBooks (Photo: Mark A. Zeiger). Oliver’s work, much of which focused on observing and appreciating one’s place in Nature, appeal to us, and inspire the lifestyle we pursue. I think it’s fair to say Mary Oliver is the Zeiger Family Homestead’s primary poetic inspiration. So, which of her poems have been on my mind since then? Sleeping in the Forest, an obvious choice under the circumstances, as is When Death Comes. 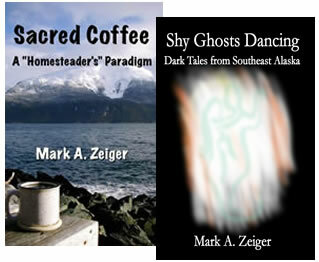 Sleeping in the Forest may have been my introduction to her work. The Lamps, possibly my favorite poem by her, should I be forced to chose just one. But, I’m not sure. I’ll just have to read them all again . . . .